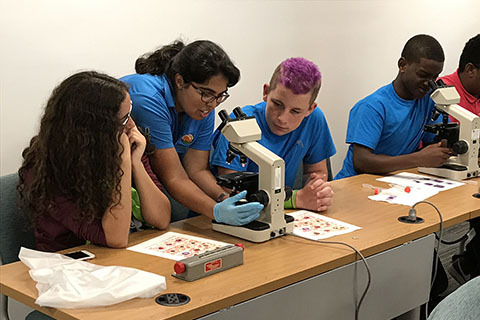 High School Students are immersed in Innovative methods of differentiated instruction through the University's high school internship program. This program aligns high school students with Graduate student led shadowing experiences. In addition, high school students enrolled in this program will earn one credit towards high school graduation. Space is always limited. Coming 2019.